Chamberlain-Young Orthodontics is partnering with the Chandler Compadres and offering a Giving Tree at its offices. With your help they have the ability to bring smiles to some disadvantaged children this holiday season. The Giving Tree will be adorned with ornaments listing the children’s ages. So when are you are running around town, simply stop by one of the Chamberlain-Young Orthodontic offices, pick out an ornament or two, and help make a child’s season brighter. After picking out an ornament from the tree, shop for the gift and the return it, unwrapped, back to the office. The ornaments you pick are a gift for you and will be available on the tree from Nov. 5-Dec. 7. The Chandler Chamberlain-Young Orthodontics office locations are 3800 W. Ray Road, Ste. 9 and 1055 W. Queen Creek Road, Ste. 5. For more information, visit SmileStraight.com. The holidays are coming and Downtown Chandler is celebrating. Come downtown and visit the Holiday Selfie Circuit starting on Nov. 26. Sprinkled throughout downtown will be unique, charming, and playful holiday décor, each identified as an official Holiday Selfie Stop. The nine stations will include: a jolly gingerbread man, a frolicking snowman, twinkling lit-up acacia trees, a friendly penguin, the iconic Tumbleweed tree, a walk-through gift-wrapped present, and many more. Head down early to capture the essence of Arizona for your holiday cards. 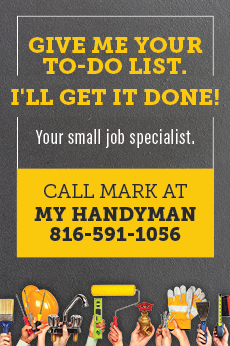 Visit DowntownChandler.org for more information. 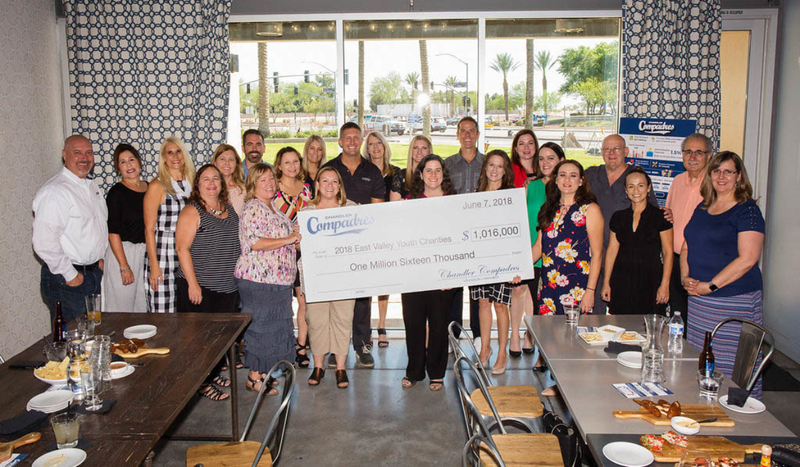 Chandler Compadres announced that the amount of gross donations the club has raised reached $1 million this year. 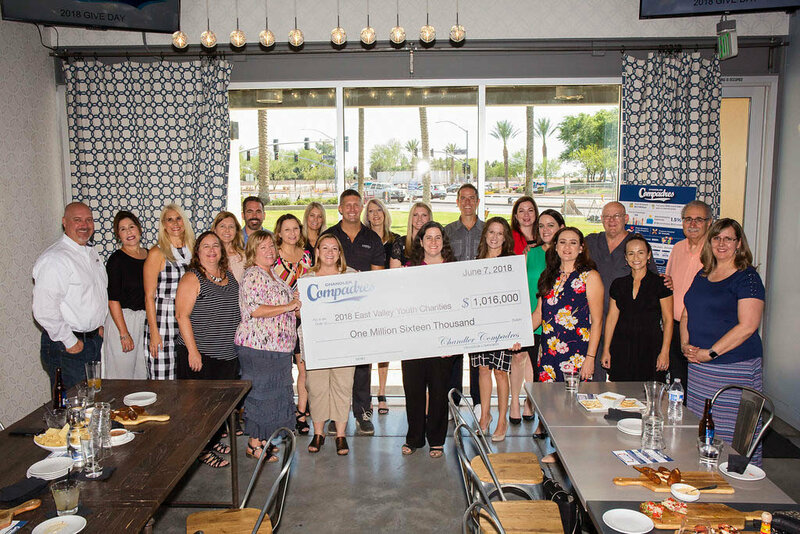 The nonprofit has spent a quarter century building stronger families in the East Valley through different fundraising efforts, including its signature events Rock the Cause for Kids and the Compadre Golf Classic. 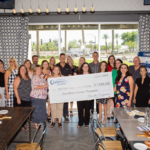 Local charities that benefit include Boys & Girls Clubs of the East Valley, ICAN Positive Programs for Youth and AZCEND. The organization also participates in the Arizona QCO tax credit. 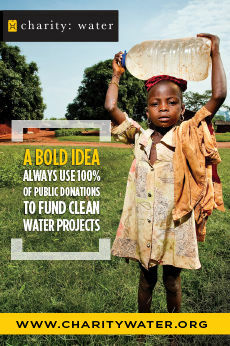 Learn more at ChandlerCompadres.org. 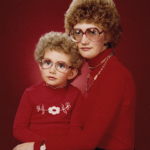 Chandler Museum will debut with the renowned national traveling exhibit Awkward Family Photos. 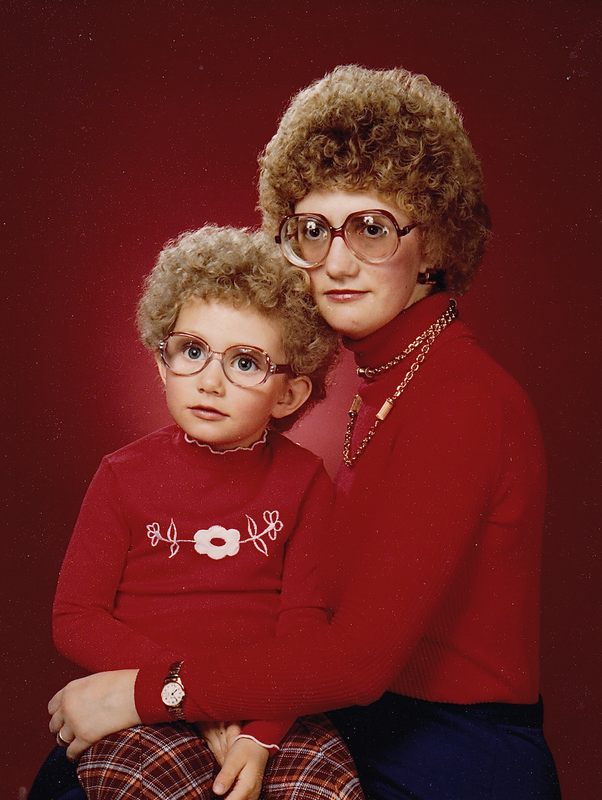 The exhibit explores the family experience—the perfectly imperfect moments we share with the people we love most. To bring some local flavor, the museum seeks submissions from the community to be part of a digital screen display. They will be shown Dec. 8-Jan. 19, 2019. To submit a photo for possible inclusion, email a jpg image to the museum. Or, drop a print photo off at the museum to be scanned starting Dec. 8. To learn more, visit ChandlerMuseum.org.